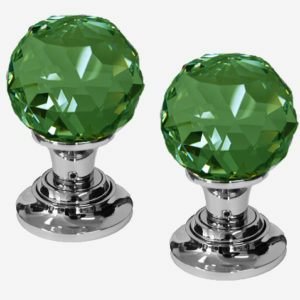 A beautiful crystal cut glass mortice set, these knobs will give an elegant look throughout with the sparkling silver effect from the polished brass base, this set is also available with a polished chrome or antique brass base. 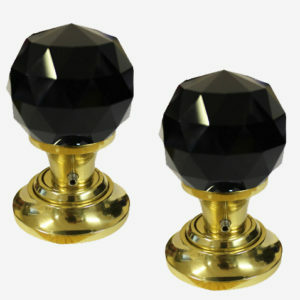 This door knob set has a sprung rose to ensure a good return action. 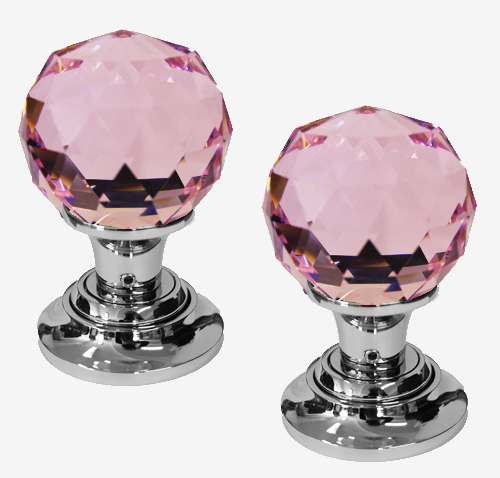 This is a luxury crystal cut glass mortice door knob set that has been specially designed so the base has a screw cap that hides the fixing screws. 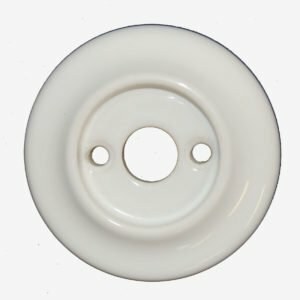 The quality is stunning and is the best in the UK! 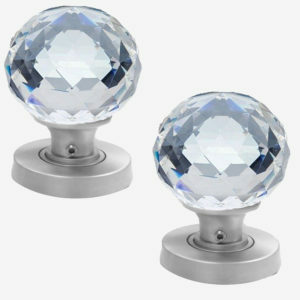 Other crystal door furniture also available in this range to match – Mortice Knobs Sets, Cupboard Knobs and Wardrobe Knobs. 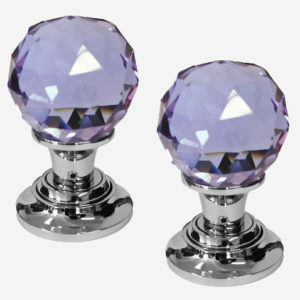 2 x crystal glass knobs approximately 60mm diameter. 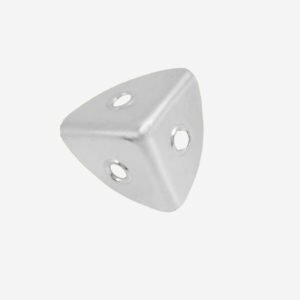 2 x concealled backplates approximately 60mm. 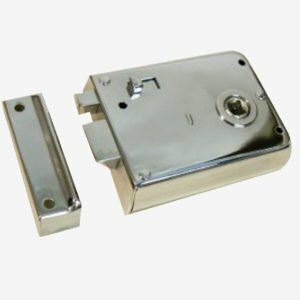 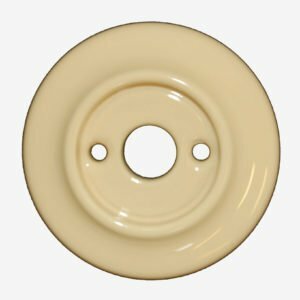 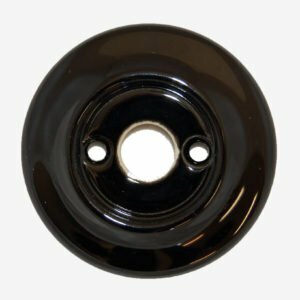 Supplied with 131mm length spindle and fixing screws.